I hope you guys are just as excited about these cupcakes as I am! I’ve only been waiting since last Thursday to post them (someone wanted quinoa instead…I won’t name names). 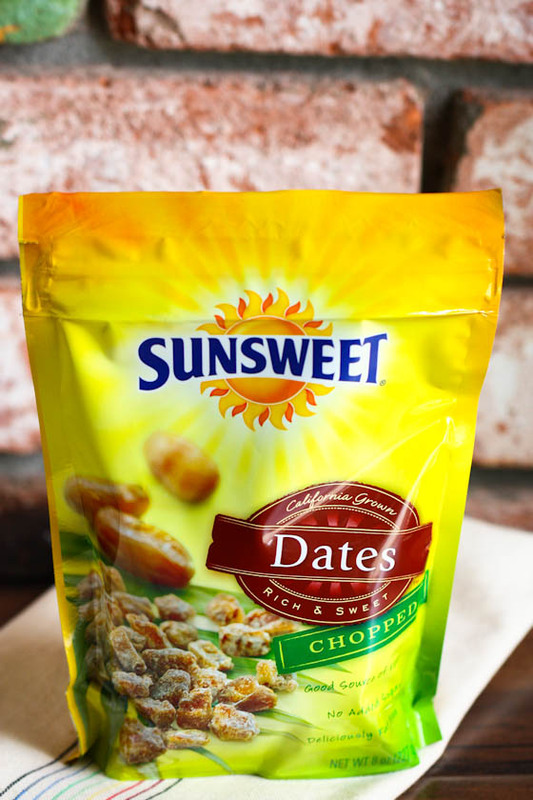 If you’re already questioning “date nut”, it’s totally understandable. You’re probably wondering why you would make date nut cupcakes when you could, say, make buttermilk chocolate and everyone wins. I get it. I really do. And to be totally honest with you, these cupcakes are weird. I wasn’t so sure what to think, especially since it’s my great-grandma’s recipe and is probably circa 1944. You want to know what else was circa 1944? Tomato aspic. And we all know how that turned out. Remember rum raisin ice cream? These cupcakes are like that. They taste retro but in a good way. Sort of like banana bread minus the bananas…if that makes any sense at all. BUT OH MY GOSH CAN WE TALK ABOUT THE FROSTING??!!!!!!!!!!!!!!!!!!! First, the dates! Don’t try to get all fancy with organic medjool. Think like a great grandma. What would she buy? Retro, but in a good way. Now let’s talk about the frosting….because, well, I liked the cupcakes a lot (I like weird things) but I LOVED LOVED LOVED (!!) this frosting. It might be my new go-to frosting for everything, that’s how much I loved it. And it was so easy to make! You just need a bag of butterscotch chips…. You melt down the chips then let it cool and pour the melted butterscotch into creamed butter and powdered sugar. That’s it. It makes the most deliciously fluffy, light, butterscotch-caramely frosting ever. Trust me, you want to make this frosting. If nothing else, just to lick off the whisk of your KitchenAid attachment. 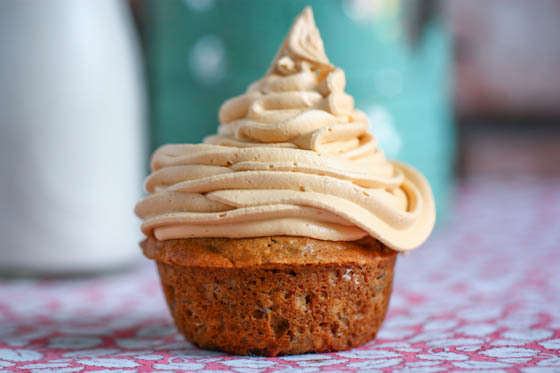 The frosting is the perfect thing to spruce up these date nut cupcakes. I loved the flavor of the butterscotch with the dates…it really was the perfect match! I love imaging my great-grandma serving these cupcakes to my grandma and her siblings when they were kids. The original recipe calls for a half cup of shortening, which is what I used. If you’d rather use good old fashioned butter instead though, I’m sure that would work just fine. I’m certain the reason great-grandma used shortening here was because butter was in short supply at the time. 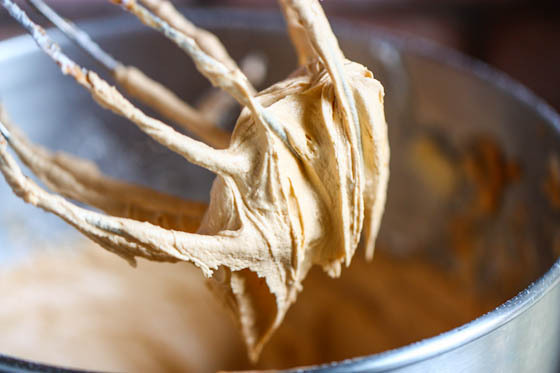 She would much rather save the butter to make this delicious butterscotch chip frosting…I get it. Pour the boiling water over the dates and set aside. Whisk together the flour, baking powder, baking soda, salt and chopped walnuts in a bowl. In another bowl, cream together the vegetable shortening and sugar until light and fluffy. Add the eggs, beating well after each addition, and the vanilla. Continue beating until everything is well combined. Alternate between adding the dry ingredients and the date/boiling water mixture to the creamed butter and sugar. Do not over-mix here. Fill greased cupcake tins about 3/4th of the way full with cupcake batter. Bake for 20-25 minutes until golden brown and springy. Let cool completely while you make the frosting. Cream the butter until light. Add the cooled butterscotch and the powdered sugar and continue beating until thick and fluffy. Place frosting in a large plastic bag fitted with a pastry tip (optional but fun!) or just use a butter knife to spread on cooled cupcakes. I like the frosting to cupcake ratio you have going on! I also really love dates and I have the giant ones stuffed with walnuts and cinammon the whole time for breakfast. I bet these are amazing and would especially good with cinnamon sprinkled on top! A butter knife to frost them is the retro way my grandmother put frosting on too – but they never came out as nice as I liked. Sounds sweet! i think i would die for these. i am on a total date kick right now. these are perfect. now i just need an occasion to make them. or do i? Love the first pic! Great job for continuing the Grandma project. yum! i love dates and going to bed early to read, so grandgma-ish! whoa…butterscotch frosing??? YUM. looks like heaven. These are looking a little muffin-like. Agree or deny? Agreeing makes this free game for brunch. These look ah-ma-zing!!!! I love anything butterscotch. I’m actually looking for a good frosting recipe for a wedding cake recipe, I will definitely give this a shot. I love date nut bread so these cupcakes look so splendidly homey. With butterscotch chips as the base of the frosting, I can only imagine how good that frosting is! Wow those sound awesome! And that frosting….no words. You had me sold at the pile of frosting! I’m going to DREAM about that frosting. Sweet, lovely dreams. Well…I still sort of do that. Because I’m a fake grown up, apparently. Can’t wait to spread this frosting over everything in sight!! I find butterscotch to be an underrated flavor, so I’m happy you’re giving it a lot of love here. I’m obsessed with that frosting and I haven’t even tasted it. The pictures are enough to want to lick it off the screen! I’m also weird and think the combination of dates & nuts sounds really delicious in cupcake form. I prefer that kind of stuff over funfetti any day. Oh Jenna. I think you’ve hit this one out of the ballpark! These look so pretty; and, I bet these really do taste amazingly retro and delicious! I just can’t get enough your sweet great-grandmother’s recipes. Keep’ em coming! I’m not a big frosting fan but my boyfriend is. Frosting on everything! So, this is definitely one I should try. Dates and nuts in a cupcake sound good to me! That frosting is calling my name! I love dates! And cupcakes! Talk about a win win! i just love that the frosting is as tall as the cupcakes! That frosting does sound stupendous. Why must I be at work instead of at home baking??? I am loving this combo! I made a pumpkin pie with a butterscotch whipped cream once… you mixed butterscotch syrup right into the whipped cream- SO good!! Will have to try it with the chips in frosting! omg..that butterscotch whipped cream sounds amazing. Like pudding on steroids–I’m going to try it! Yum I love how you piled the frosting on these puppies! Dates are awesome! That’s what I’m talking about – sky high frosting!! So creative! I think my husband would love these, he loves unique cake flavors. And that frosting looks to-die-for! Definitely not questioning date nut anything! This looks amazing!! i LOVE butterscotch chips. can’t wait to try this. Looks amazing! I think sandwiching this frosting between oatmeal cookies like a Little Debbie Oatmeal Creme Pie (butterscotch-style) sounds yummy, too. yummmmm everything about these is just perfect!! These seem like the best cupcakes around! So creative and one of a kind flavor I am sure. Can I pppppplease have one right this second!? OMG I love butterscotch! I had this idea that I will just make this frosting, keep it in my fridge, and eat it by the spoonful whenever a snack attack hits 🙂 Wonder how long it will last in the fridge…any idea? Sounds amazing! Hmmmm….good question. I would actually keep it at room temperature (covered) for only about a day, or overnight, and then when you use re-whip so it gets all fluffy again! 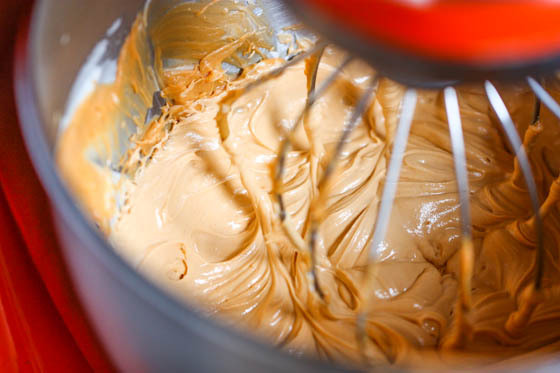 Because of the pretty hefty amount of melted butterscotch in it, the frosting gets a little hard after awhile so be sure to re-whip. I wouldn’t refrigerate these cupcakes because of that. Love the big mountain of frosting in the first picture! These sound delicious! I love the almost muffin-like texture these seem to have! 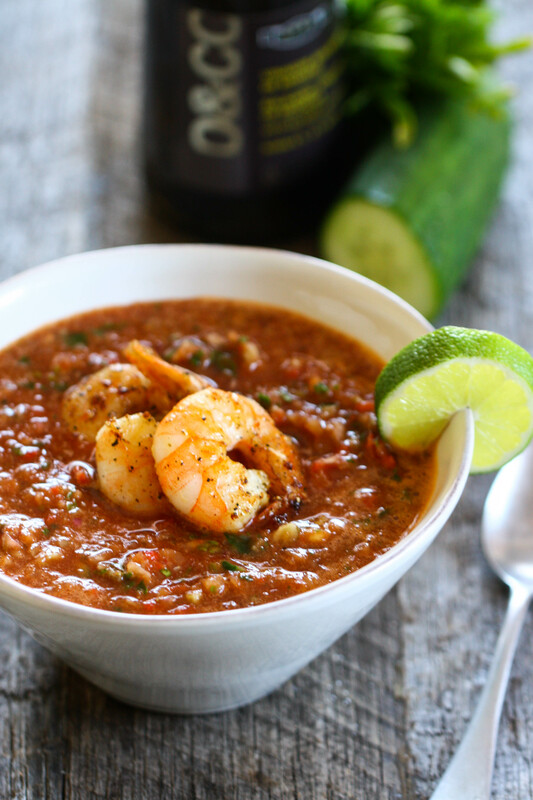 Looks like an awesome recipe and I’m definitely bookmarking it for later! 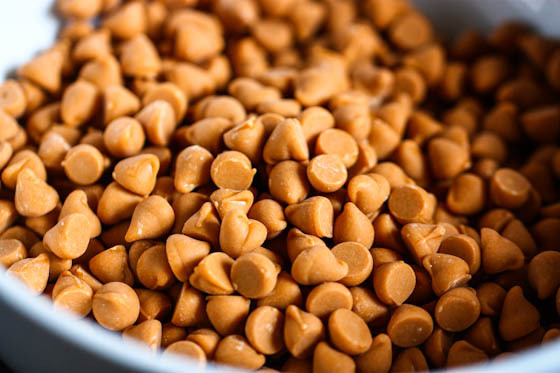 I love dates, I love nuts, and I love butterscotch so…. yep I’m making these! 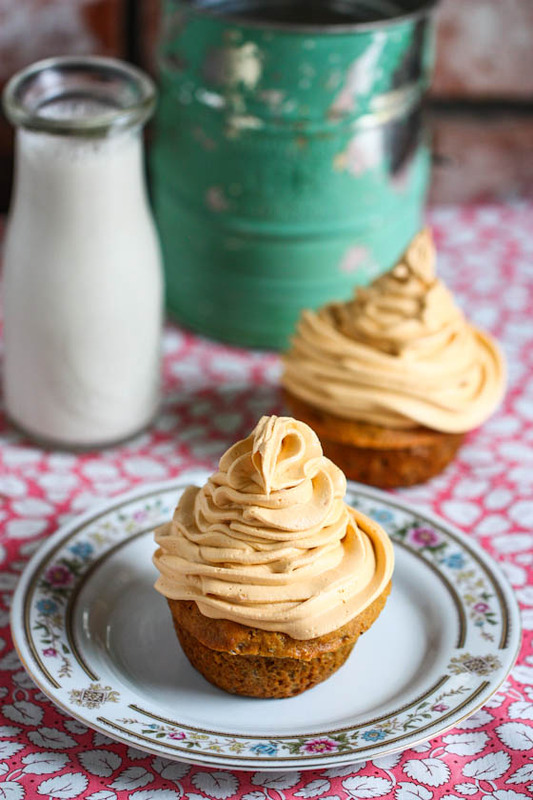 These sound kind of like Sticky Toffee Pudding in cupcake form! Yum! 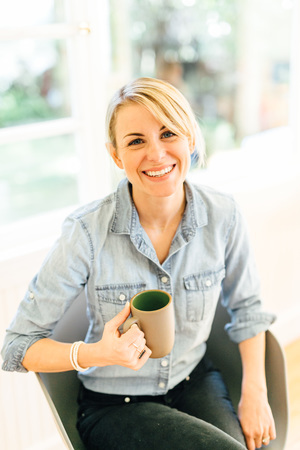 The first time I made STP I was kind of weirded out by the dates – and then I tasted it. Oh my goodness – delectable. I will most definitely be making this cupcake recipe – thank you! 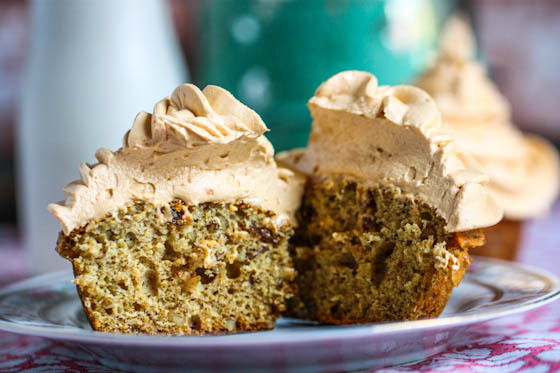 I actually love dates and nuts – these cupcakes are totally calling my name! There’s nothing wrong with a frosting shot here and there! My husband would die for this frosting! He loves all things butterscotch, can’t wait to try it! I’m a big fan of quinoa, but I have to say, I would have chosen these amazing cupcakes if given the choice. And that frosting? I could just dive right in. I need a little mountain of frosting like that in my life right now! Those cupcakes look divine!!! I love dates! And butterscotch. I don’t see how these could be anything less than awesome. I am a BIG fan of butterscotch. I think it adds so much great flavor. One of my favorite recipes on my blog is my rice krispies with a chocolate-butterscotch frosting. I love dates too so I cannot wait to make these cupcakes! So this has me pondering what other chips could be used for icing…cinnamon? chocolate mint? This has a lot of potential! I love icing. Oh these look SO delicious! Gonna have to try them out this weekend.. 🙂 hope you’re having a great week! 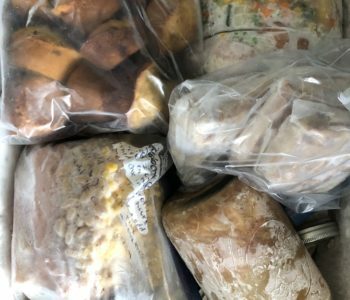 I have your grandma’s palate: dates and butterscotch are some of my favorites! These will definitely get made. Thanks for the great recipe! I love what you did with this cupcake. I also love butterscotch and dates. It has been a while since I had dates. I don’t know why I love them. Thank you. I’m typically not a huge frosting lover unless the frosting looks like yours, then I’m 110% down with eating every last bit. I’m literally drooling over that frosting. Drooling. I could only imagine! 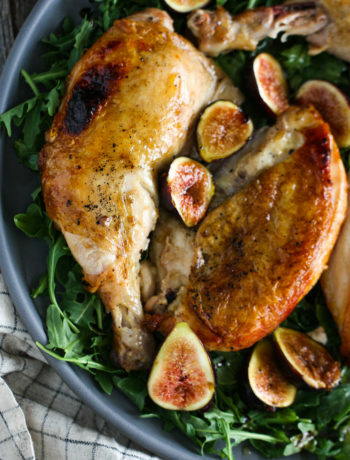 Wonderful recipe combination! Yum! I feel like a lot of people think butterscotch is for “old” people but honestly it’s one of my favorite flavors. You have to make these if you haven’t already. I have never had a cupcake like this before. I substituted butter for shortening and they turned out great. I also did an extra rough chop to the already packaged chopped dates as I was unsure how I would like the dates. so good. I did make the mistake of refrigerating the frosting. oops. It got hard. I mean really hard. I am leaving it on the counter for a while and re-whipping. Hi Jenna, Great recipe, thanks. Am wondering how many cup cakes/mini cup cakes this recipe makes? Please advise….thanks! Doesn’t it taste too sweet? Or it just taste nice? 🙂 is it suitable for vanila cake frosting?